Last week, the University of California, Los Angeles finally released documents in response to a public records request about a 2018 campus speaking appearance by U.S. Secretary of the Treasury Steven Mnuchin. The production comes over a year after FIRE submitted the request, but within just weeks of our filing a lawsuit to compel the documents’ release. FIRE issued its document request under the California Public Records Act on March 2, 2018, after reports surfaced that Mnuchin “retracted his permission” for UCLA to release a video of his speaking appearance at a campus forum two days earlier, where he was briefly heckled by demonstrators. FIRE — along with others, including the greater Los Angeles chapter of the Society of Professional Journalists — requested a copy of the video and documents about Mnuchin’s appearance. With multiple requests pending, Mnuchin reportedly “decided to end his objections,” and UCLA posted the video to its website on March 9. However, the school put off responding to the rest of FIRE’s request, estimating it would make the documents available three months later. Three months later, UCLA gave itself another two months to respond. Two months after that, the school gave itself another three months. Then another three months. Then another two months. 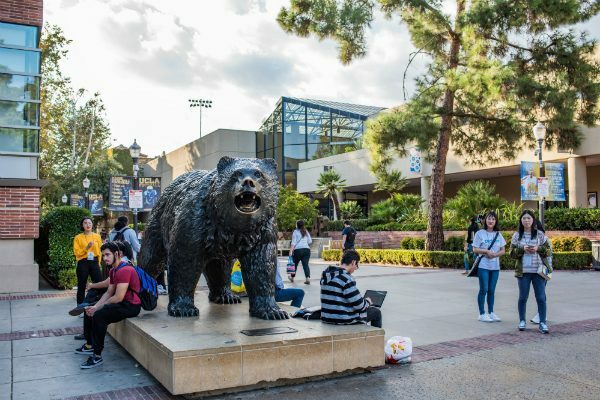 Sensing a pattern, FIRE submitted its lawsuit for filing on March 27, 2019, alleging that UCLA’s long delay runs roughshod over the Public Records Act’s requirement that public institutions make public records “promptly available,” and asking a judge to compel production and declare that UCLA’s actions violated the law. Within two weeks, UCLA reviewed FIRE’s request, searched for responsive records, and produced 13 pages of emails. Much more concerning is UCLA’s pattern of repeatedly and apparently indefinitely kicking the can down the road on responding to a public records request. The Public Records Act requires agencies to make records “promptly available” precisely because the public deserves to have timely access to information, which means journalists and watchdogs like FIRE should be able to access records while recent events are still recent. But because UCLA failed to search for and review 13 pages of documents for over a year, a mildly embarrassing campus appearance by a cabinet official is now the subject of a lawsuit and a public letter of complaint to the University of California Board of Regents from the Society of Professional Journalists, which requested the same documents. UCLA must do better. Whatever the reasons for its repeated delays, it must figure out how to handle public records requests in a timely manner, consistent with its obligations under state law.